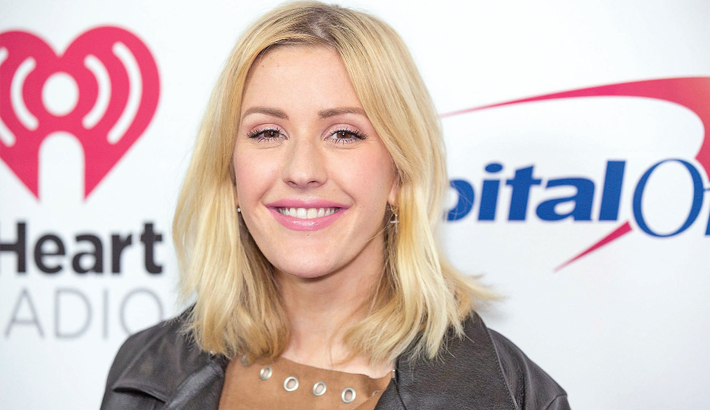 British singer-songwriter Ellie Goulding is a Global Goodwill Ambassador for UN Environment, joining the fight to save the lives and habitats of people and animals by cleaning up the planet's air and seas, fighting climate change and protecting species. "It's a huge honor to become a UN Environment Global Goodwill Ambassador," an official statement quoting Ellie said. "Yes, we face huge global challenges, but we are also taking game-changing steps forward and that should inspire us. "My focus will be on amplifying the activism of young people committed to creating a bright future. I want as many people as possible to become advocates for the planet," she said. Ellie, 30, took up her new role on Saturday in Kenya, surrounded by giraffes at the Giraffe Manor in the leafy suburbs of Nairobi, where UN Environment has its headquarters. She later traveled to the iconic Maasai Mara to learn more about the threats facing wildlife due to habitat loss, and to see the traditional cooking methods that are responsible for millions of deaths every year in low-income countries. "I have struggled with asthma all my life, so I know how horrible it feels not being able to breathe properly," she said. "Millions of people across the world are in this position, living in cities with air polluted by cars and factories, or in rural settings where 3 billion people cook, and heat their homes, using open fires without appropriate ventilation. "Inhaling this dirty air is slowly killing people - often women and children in the case of indoor cooking. I saw this first-hand in the Maasai village and was so pleased to be able to contribute clean cookstoves for all the huts. I want to do whatever I can to make our air cleaner by working with UN Environment to inspire action to address this crisis." Overall, environmental degradation causes nearly one in four of all deaths worldwide, or 12.6 million people a year, and the widespread destruction of ecosystems. Air pollution, which is the single biggest environmental killer, claims 6.5 million lives each year. Poor air quality and pollution of all forms are high on the agenda of the UN Environment Assembly, which Ellie will attend when it begins on December 4 in Nairobi.